Derived from Koolance's internationally renowned Exos line, the Exos-2 brings all new features and performance to the "chassis independent" cooling realm. 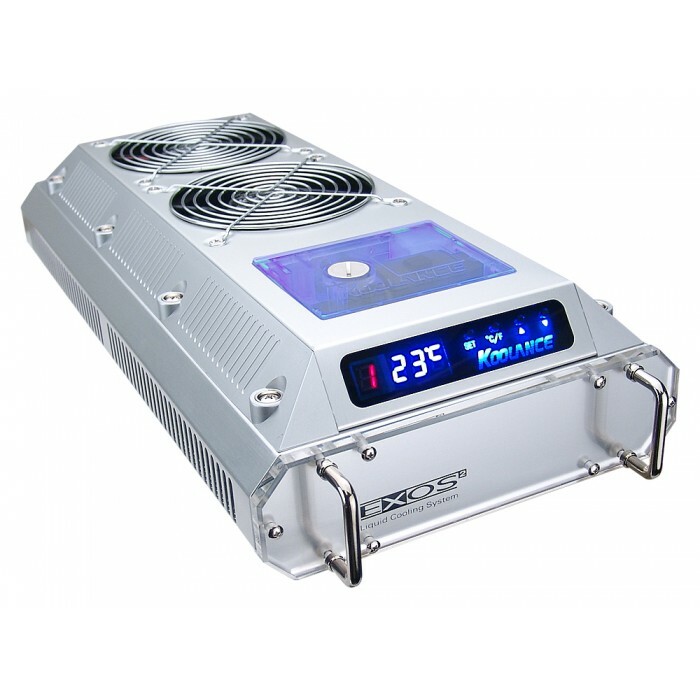 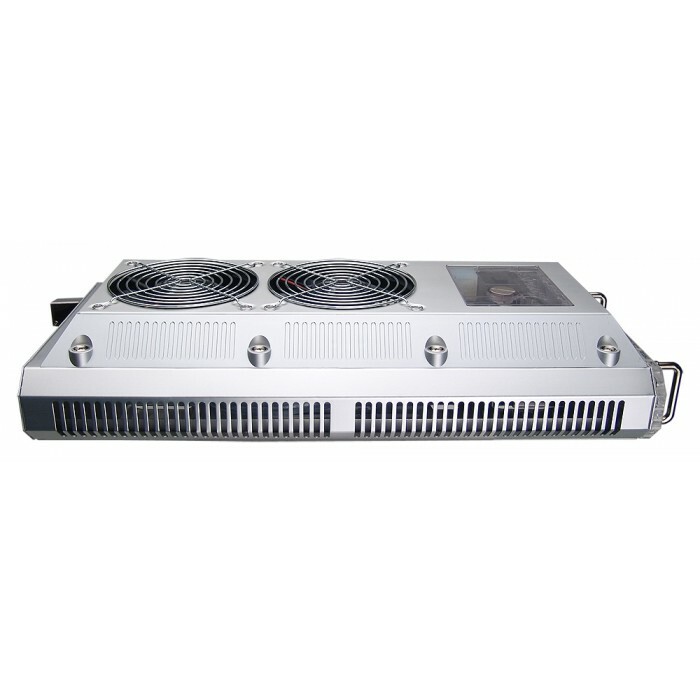 The Exos-2 is available in black or silver aluminum, both integrating a 700W cooling system. 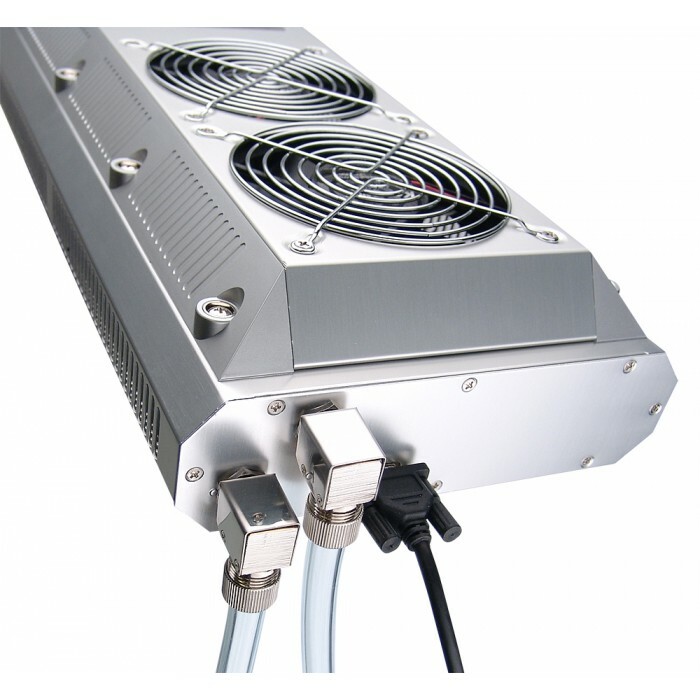 Dual 120mm radiator fans, 3/8in (10mm) tubing, reservoir LED lighting, and vastly improved display functionality are now available in an external unit! 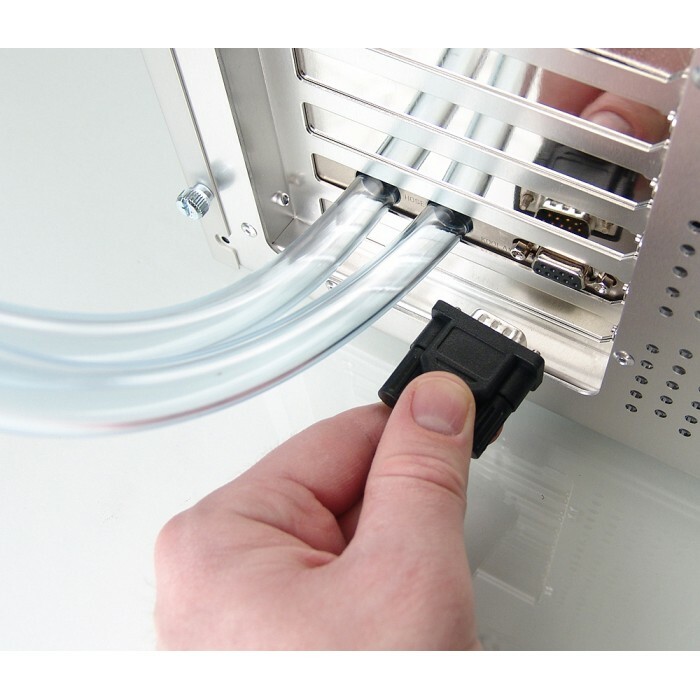 Like previous Exos, the system will connect with any PC through a standard rear card slot.